Hair extensions existed for thousands of years but it was in 1949 in Ohio when an African-American hairdresser by the name of Christina Jenkins invented and patented hair weaves. Jenkins wanted a new and more secure way of attaching hair and without the use of any heat or chemicals. Jenkins and her husband established Christina’s Hair Weaves in the early 1950s to train people from around the world her new hair weaving methods. She was also paid to introduce her weaving techniques to different countries. Although her methods were time-consuming, approximately 25 percent of African-American women used some form of hair weaving by the end of the 20th century. Hairdressers in the 1980s also improved Jenkins’ techniques by creating hair that looked natural and flowed. China, India, Indonesia, and Korea are the world’s largest exporters of human hair used for hair weaving in the US. This type of weave is generally done at a salon because it takes a long time and requires a lot of skill to be able to do correctly and neatly. A very skilled stylist can take anywhere from 3-4 hours to complete this type of weave. Once they are attached, sew in weaves are very low-maintenance and don’t require a lot of upkeep, which is one reason that they are such a popular option. Both real and synthetic hair can be used with this type of weave. After braiding very small braids tightly against the head, the stylist is then able to sew the hair into the braids, for a very natural look. 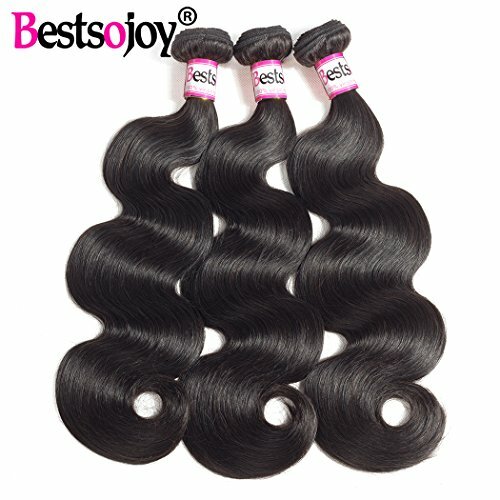 Generally, this type of weave will last around three months before it has to be taken out due to the growth of natural hair. 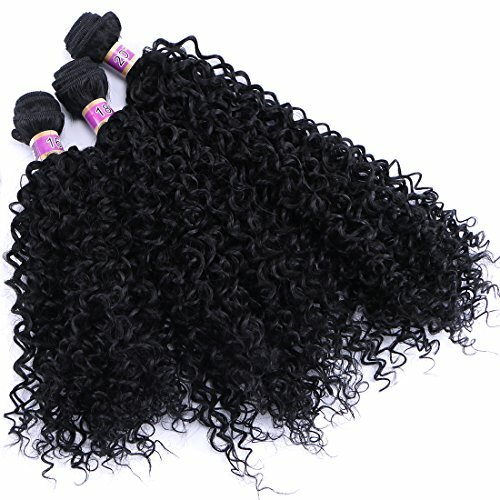 One reason so many people opt for this type of weave is that they appear very natural and will stay in place, even when you are participating in activities such as running or dancing. Maintaining this kind of weave is very easy, as the hair only needs to be washed every week and a half. While it is tempting to wash the hair more often, doing so can actually cause the weave to not last as long. Chlorine in pools can be very damaging to this type of weave, and since this type of weave is prone to tangling, regular brushing is important to keep the hair from being irreversibly tangled and damaged. This type of hair weave involves fusing the extensions to the natural hair and requires the stylist to be very skilled, as the extensions will be attached one strand at a time. This is a very permanent type of hair extension, and the results will generally last from three to six months, as long as the hair is cared for properly. Because there are no braids, wefts, tracks, or nets with this kind of weave, the hair not only looks very natural but feels it as well. You can run your hand through your hair with this type of weave without worrying about damaging the weave or shortening the time that your weave will last. Cold fusion weaves rely on an ultrasound device as well as a keratin-based polymer to attach the human hair to the end of your strands. This technique is fairly new and is very gentle to your natural hair, which will decrease the amount of damage that is caused when you have your weave put in. This type of weave generally feels much more natural, as well. Hot fusion weaves use a connector that will bond hair to the root of the natural hair. This can last up to six months, as long as the hair is cared for properly and is generally the best option for people who have very thick and strong hair. Since the glue and the weave will add weight to the head and pull at the root of the natural hair, this type of weave isn’t ideal for people who have thin or weak hair. Glue in weaves is very popular among people who want to be able to do their own weave at home because with a little practice and the right tools, you can easily improve the appearance of your hair using this type of weave. One problem that most people encounter when they opt for this type of weave is that the glue is generally very damaging to the hair. This doesn’t mean that you can’t have glue in weaves, but it does require a little extra care and work to ensure that there aren’t any problems with hair breaking or being damaged from the glue. When applied properly, glue in weaves are a fast and easy way to increase the volume and length of your hair, but it is important that you choose high-quality tracks and glue them correctly. If the glue is placed on the natural hair then it can cause the strands to break very easily and quickly. If you do choose to glue in your own weaves, then you need to make sure that you understand how to separate the hair, that you choose the right color glue, and that you do not apply too much glue to the track as doing so can cause a huge mess that is very difficult to clean up. This technique for applying a weave has a number of fans because of how quickly the hair can be applied, but since these weaves don’t last more than one to two weeks, they are not a long-term commitment. You will have to redo your weave on a regular basis if you opt for this type. Unlike other types of weaves that require you to attach the hair to your existing hair or scalp and are a more permanent solution to increase volume and length, drawstring weaves are ideal if you tend to wear your hair up in a ponytail and want a more voluminous look. They are generally made out of synthetic hair and are attached to the head by using hair combs and elastic drawstrings. This type of weave is a great option if you want to be able to easily remove your weave and not worry about whether or not you are going to damage your hair when using a weave, as they are not permanently attached and don’t rely on harmful adhesives to stay in place. 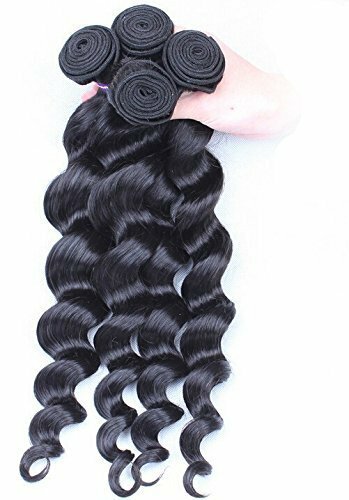 It is important when you opt for this type of weave that you are very careful to make sure that it is attached firmly and correctly to your head so that it doesn’t come loose unless you are ready to take it out. While every manufacturer will have slightly different instructions on how to use this type of weave, they all generally are put on the head in the same way. The ponytail will be attached with the included combs, which will allow you to hold it tightly to your scalp. You then need to tighten the ponytail using the strong so that it will not slip off of the head. The string can then be wrapped around and hidden so that nobody sees it and is aware that you are using this type of weave. This type of weave requires the hair to be sewn into braids that are created out of natural hair. They are the same as traditional sew-in weaves, but with a few minor differences. While sewing in weaves is sewn all of the ways to the front of the head, with a lace front weave, there is a lace closure or frontal that is placed perfectly lined up with the hairline. This ensures that the front of the weave looks very natural and blends perfectly with the natural hair. Lace front weaves are generally less expensive than lace front wigs and will look just as natural, although you do need to visit a trained and professional stylist to have this kind of weave sewn into your hair so that it looks natural and will last as long as possible. If not cared for properly then your new weave will not last very long. Even with the best care, it will generally need to be replaced in about three months or so, as the natural hair grows out. When these weaves are not attached properly, then they cause hair to fall out, especially around the nape of the neck, so it’s important to make sure that you trust your stylist and that they can do a professional job on your new weave. This is very similar to sew in weaves, but the mini-braids, or cornrows, aren’t necessary. While this type of weave can be very difficult to put in at first, with a little practice, it does get easier. The other option is to go to a stylist who is able to quickly and efficiently put in your new hair weave so that you don’t have to worry about how to attach it to your hair. For the most natural look, you will want to go to a hairstylist who has a lot of experience with this type of weave and will be able to help the hair blend in seamlessly with your natural hair. Rather than braiding cornrows close to the head, which will allow you to then sew the weave into the braid when you opt for an interlocking weave you will have micro-thin weft that is carefully sewn onto loose hair. 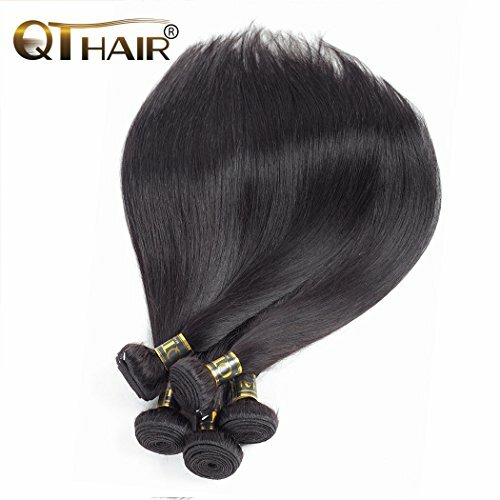 This thin weft is almost indistinguishable from the natural hair, which means that you can enjoy a very natural appearance without worrying about whether or not people can tell that you have a weave. Additionally, this type of weave is very secure and not likely to fall out. Because there are not large wefts that have been glued to the hair or to the scalp, you can run your fingers through your hair without worrying about catching them on the weft and accidentally pulling it out. 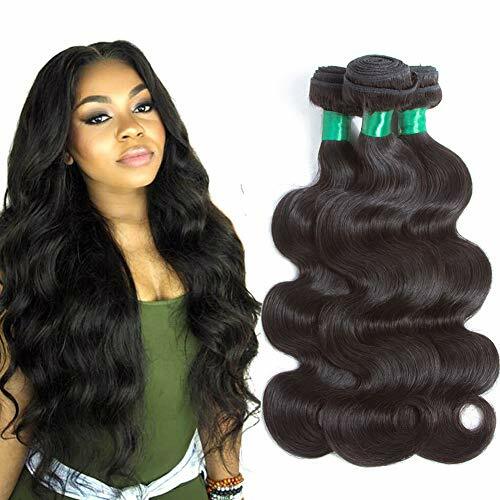 Known to be one of the best options for weaves, Peruvian hair is not only incredibly comfortable but also very lightweight, which will prevent you from feeling like your head is heavy when you opt for this type of weave. This is also a very free-flowing type of hair which will allow you to enjoy very natural styles without worrying that the hair will look at all unnatural. This hair, while not very lustrous, looks natural, feels luxurious, and has a lot of sheens that more than makes up for not being the most lustrous type of hair available on the market. Because Peruvian hair is just a little bit coarse, it also feels natural and doesn’t feel slick, which some types of hair can. When you want to look your best in pictures or videos, then you will opt for this type of hair because it looks great in photos due to how silky it is. Additionally, when you want a lot of volume from your weave, then you will love this type of hair as it has more movement and body than other types of hair, which keeps it look from looking stiff. With so many different styles and patterns to choose from when you buy Peruvian hair, it is easy to see why so many people opt for this when they want a weave. If you have relaxed hair or strands that are naturally very silky and fine, then you will want to consider opting for Malaysian hair for your weave. This is perfect for girls who may not otherwise be able to have a weave that looks natural due to the appearance of their hair and how coarse other weave options tend to be. Malaysian hair tends to be very lustrous and shiny, which will instantly make your hair look incredibly healthy and attractive. Not only does Malaysian hair look and feel great, but you can easily manage it. Unlike other types of hair that can be a little bit more difficult to control and to style, this type of hair is great for people who are just learning how to style a weave and want to be able to be successful right away. When you opt for Malaysian hair you will have a number of styles to choose from, making it very easy to find the one that will look best with your hair and give you the natural look that you crave. The thickest textured hair that you can choose for your new weave is Indian. This hair has a natural luster and is so thick that it is easily set apart and distinguished from other types of hair on the market. If you want to have a number of options of styles, then Indian hair is a great choice, as you can choose from tight curly, straight, and wavy without worrying about sacrificing style and texture. Since this type of hair comes in so many different styles and textures, it is easy to find one that will look great with your hair. If you want to make sure that you get ample volume from your new weave, then it is a good idea to consider choosing Indian hair. It’s easy to find hair that is low maintenance and will allow you to style it quickly and go out the door if you want to look your best without spending a lot of time on your style in the morning. This type of hair has a very full and thick texture and because of its texture as well as its beauty, it is fast becoming one of the most popular types of hair that you can choose for your weave. While Brazilian hair is very popular in part because of its incredible texture, it is also a very popular choice for people who want hair that is very versatile. 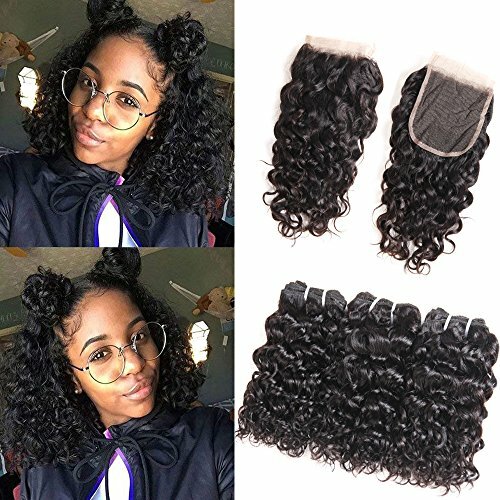 Not only can you choose from straight hair, but you can also get curly textures, depending on the overall look that you are interested in for your hair. Additionally, this type of hair is generally very shiny, which means that it looks great in photographs and in person and does a great job holding curl. This dense hair generally is very thick, which means that you need to be comfortable with how thick your new hair will be if you opt for Brazilian hair for your weave. Additionally, it is generally only available in rich browns or blacks, which can make it difficult for some people to find the exact color that you want. Thanks to how forgiving this hair is, if you are unhappy with the texture or the style of your new weave, you can easily change it and rest assured that the new style that you choose will hold and stay in place without problems. This type of hair is from people who are of Asian or European descent and generally has a very smooth and silky textured. If you want to have a relaxed hairstyle, then you may want to consider this type of hair. It is generally very thick and has a soft texture. While you may struggle with getting your Eurasian hair to hold a lot of curl or waves, it is ideal for straightening and will flat iron quickly and easily, allowing you to get out the door in the morning. Another benefit of this type of hair for your weave is that you don’t have to worry about a lot of tangles. Because the hair is not nearly as textured as other options are, you don’t need to worry about how you will untangle it in the morning when you get up or what you will do if you get any tangles in it during the day. With a little care, regular brushing, and high-quality products, you can rest assured that your hair will last and look great for a long time to come. One of the main reasons so many people opt for synthetic hair is that it is generally significantly less expensive than natural hair. This means that if you are unhappy with the way that your hair looks, you can quickly and easily change your style without having to spend a lot of money. Additionally, synthetic hair is very accessible and can easily be bought in many locations, which means that you will be able to find the type and style of hair that you want without having to spend a long time searching for the perfect fit. This hair tends to come in a variety of styles. 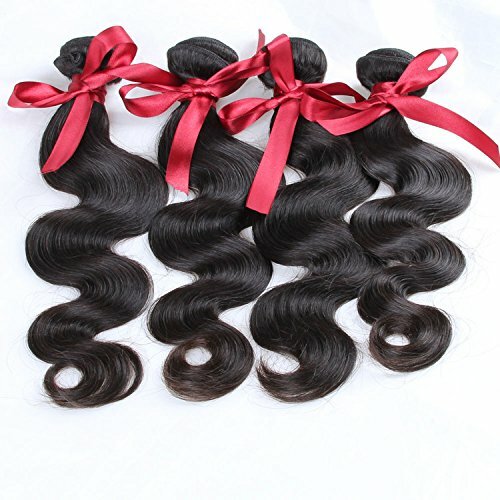 Higher quality synthetic weaves will look more natural than lower quality ones will. Unfortunately, there are a few problems with synthetic hair used for weaves. The most common problem is that the hair is not very versatile, which means that it can really only be worn in the same style that it was when you bought it. You can’t curl or straighten your synthetic hair, as it is made of plastic fibers that will not handle a lot of heat or manipulation. Additionally, some people suffer from allergies when they wear synthetic weaves since they are coated with an alkaline based sealant. This can cause issues if you have sensitive skin. Finally, synthetic hair isn’t meant to be worn all day, every day, and will begin to look matted and dull over time, causing you to have to replace your weave sooner than if you had opted for natural hair instead. If you decide to buy natural hair for your weave, then it is important that you understand that you will be making an investment in your appearance. Great natural hair can last for a very long time without starting to look old or matted, which will decrease the amount of time that you spend on upkeep. Additionally, you can customize your natural hair by cutting, dying, and bleaching it, and it will still look great. When you have human hair for your weave then it will generally blend in very well with your hair, especially when you are careful to choose a weave that has the same texture and color as your natural hair. Natural hair is a lot more expensive than synthetic hair is, which means that you need to be able to pay more when buying this higher quality product. Additionally, you need to regularly maintain your new weave, which can mean taking time to condition, clean, and trim it. Finally, even though natural hair looks great, it can be a little tricky at first to find the right hair for your weave, especially if you want the hair to match as close as possible.